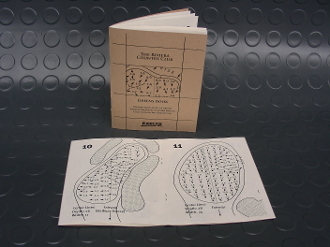 Created in 2009 for the PGA Northern Trust Open, this book features detailed drawings of all 18 greens, showing Break Direction and Break Amount, measured at 3 yard intervals. It was used by a number of PGA Pros to lower their scores, including Scott McCarron who came in #1 in putting for the tournament. Copyright © 2012-2019 BreakMaster. All rights reserved.